While the 1990s undoubtedly produced a number of powerful and influential female artists, no one was quite like Dolores. Though early on in her career she garnered comparisons to fellow Irish rocker Sinéad O’Connor, the diminutive Cranberries frontwoman had a voice all her own. There was something raw and unpolished about the way O’Riordan sang that commanded your attention: a sweet breathiness that she could turn into powerful howls of anger and pain. And then there was the yodeling she borrowed from traditional Irish folk music that added a whole other color to the Cranberries’ music. As a kid having become accustomed to the hard-edged male rock voices of the day like Kurt Cobain and Pearl Jam’s Eddie Vedder, I was struck by Dolores’ defiantly feminine singing. She owned and used all the parts of her voice – West Irish accent included – unapologetically. Which is perhaps part of why the Cranberries were so successful. When at 18, O’Riordan joined the band as its sole female member in 1990 (replacing lead singer Niall Quinn), the rest of its members seemed content to let her voice and image dominate. It was a rough cut of “Linger,” written about her first kiss only a year prior, that initially impressed her bandmates. The song, a sweet confessional ode to first love accompanied by strings and jangly guitar, became the Cranberries’ first hit and one of their most enduring. But their unlikely second hit, “Zombie,” written in response to the 1993 IRA bombings, couldn’t have been more different. O’Riordan’s anger and frustration is palpable in every word and note as the guitars blaze beneath her, sounding more like the heavy metal she loved growing up. That Dolores O’Riordan’s voice encompassed such contradictory colors is a testament to her abilities as a singer and songwriter. Her music came from her heart and guts rather than being dictated by her record label. And by the mid-1990s, it seemed like the Cranberries were everywhere. Dolores epitomized the look of ‘90s cool girls with her pixie cut and Doc Martens, which, depending on her mood, she paired with delicate floral dresses or leather skirts and fishnets. But the Cranberries also epitomized the sound of the ‘90s; literally providing the soundtrack to many of the decade’s best films and TV shows for young adults. “Dreams” was especially popular, surfacing in everything from My So-Called Life and Beverly Hills 90210 to a memorable montage featuring a perky Meg Ryan in You’ve Got Mail. Lesser known songs like “Liar” and “How” popped up in cult favorite Empire Records while Jeremy Sisto’s character Elton sings B-side “Away” and worries about his Cranberries CD being stolen in Clueless. Dolores’ voice proved to be the perfect vehicle to express all the bittersweet emotional highs and lows of adolescence in the 1990s. The Cranberries’ ubiquity in ‘90s youth culture was both a blessing and a curse for the band. By the end of the decade, their popularity had waned. Yet, they stand as a time capsule of sorts for so many of us who grew up during that period. That’s why I think I – and so many other young women – felt sucker-punched hearing the news of O’Riordan’s death; because it felt like an important little piece of our youth had died too. 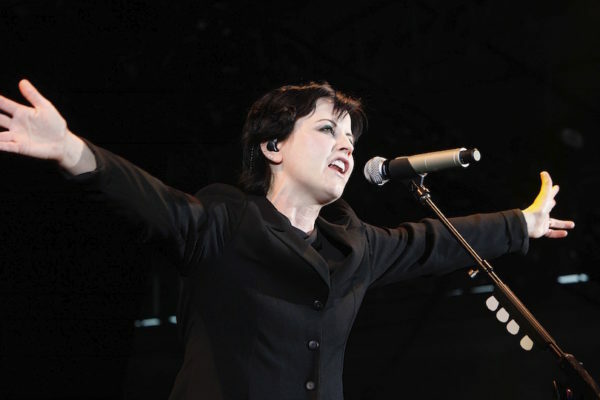 But the lingering effects of Dolores O’Riordan’s voice continue on, urging women everywhere to find and accept their own unique voices and to never stop dreaming.